What is your least-favorite book(s)? Is your least-favorite book listed in your LT library? If it is listed, do you have anything special in the tags or comments section? How have others rated your least-favorite book? However, looking at the reviews on Amazon.com, this is a very popular group and rated highly by most of the reviewers. It had a 4 1/2 star rating. So, maybe it just wasn't my type of story. I don't have this listed in my LT library as I think I read it before I joined LT.
6. You must sign-up before April 1st, so the last date to sign up is March 31st. 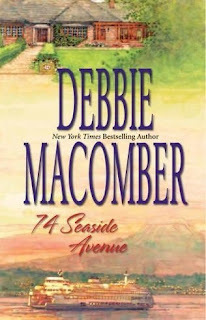 The seventh book in Debbie Macomber’s Cedar Cove series takes us to 74 Seaside Avenue where Teri and Bobby Polgar reside. Bobby is a famous chess champion and Teri is a hairstylist. A few years ago they married and now Teri is living a life she never imagined possible. She had the best things in life along with the greatest husband she ever could have dreamed for. When Bobby becomes uncommunicative and over-protective of her, Teri fears something is going on and her newfound bliss might not last long. 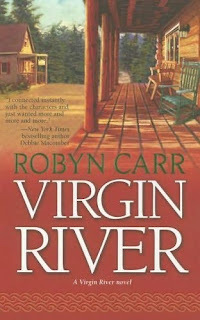 Things get worse when Bobby insists he meet the rest of her family which included an alcoholic mother and a sister, whose main hobby is stealing any man in Teri’s life. Teri desperately hangs onto her happiness, but when things take a turn for dangerous, she’s not sure how much longer they can survive. 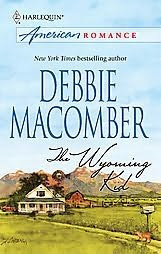 Macomber takes us back to this lovely town and readers will be reacquainted with old favorites. It’s been awhile since I read the sixth book, but I won’t let that much time go between reading the next one. The characters in these books are so well-crafted and the town is one I’d love to live in or at least visit. The storylines are all realistic ones that any of us could be facing. I’m definitely getting ready for my next trip back to Cedar Cove. A definite candidate for my Socrates’ Book Reviews Great Book Alert. Julie Hanrahan experienced many losses in the past few years. She lost her beloved baby, her husband divorced her and then her father died. When she meets Dr. Thomas Larkin on vacation in the Caribbean, she is immediately swept off her feet by the handsome doctor. After only a five day courtship, they marry before going home. Julie gives up her life in Los Angeles and moves to Tom’s small hometown in Maine. She is met with hostility from Tom’s mother and his 7 year old daughter. Although Tom’s 2 year old daughter seems to love Julie as does his brother. When she learns that Tom’s wife didn’t die in an accident as he had claimed, Julie begins to regret her decision. Suddenly she begins having accidents and realizes someone wants her out of the picture. She is definitely getting too close for someone’s comfort, but she refuses to stop digging for more information. She has to find out why Tom lied to her and if he could be the killer. This was an excellent read. It kept me on the edge-of-my-seat until the very end. There were dozens of twists and turns and I wasn’t sure how this would all play out. Julie is a great character filled with strength, although I did question the logic of marrying someone after only five days of knowing him, especially someone with two small children. I would think she wanted to get to know them first, but it was all handled quite believably and I loved how she wouldn’t back down. 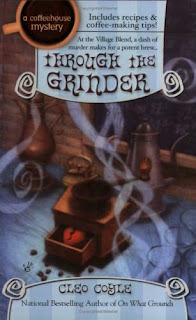 It definitely left me wanting to read more of Breton’s books, which just happen to be in my humungous TBR. I have no choice but to give this book the Socrates’ Great Medal Alert. Liz Moore is stunned when she received a “Dear Jane” e-mail from her fiancé. He, also, left her with an empty bank account. Alone on a deserted Mexican beach, she vows to kiss the next man she meets. Fortunately for her, Joe Devlin is on the scene and more than happy to oblige her. When gunshots go off, Liz finds herself alone once again, but this time with a dead body. Undercover OMEGA agent Joe Devlin didn’t expect to be involved in a murder mystery, but he was involved. Although he left Liz holding the bags, he didn’t plan to leave her for long. Unbeknownst to her, she walked right into a mobster execution and it was up to him and his team to protect her. It doesn’t take long for Joe and Liz’s attraction to grow for each other. The problem is, they both have secrets that could destroy any chance of a romance. This was a sweet romance. Merline Lovelace rarely disappoints. 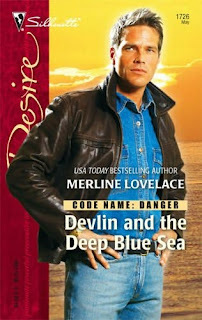 “Devlin and the Deep Blue Sea” is a fast-paced read with a likeable cast of characters. It’s part of her Code Name: Danger series. I didn’t read the books that came before, but it didn’t seem to matter. I was still able to enjoy the book and look forward to reading more of them. Clare Cosi once again finds herself in the middle of a murder mystery. This time several of her single female customers are committing suicide, but it doesn’t take long for the police to suspect that something more sinister is going on. Detective Quinn is not one who believes in coincidences. When Clare’s young daughter, Joy, decides to sign up for an online dating service, Clare signs up as well. She’s doing it for one reason and one reason only, she wants to screen the men Joy dates. She never expected to fall for one of the men herself, but Bruce Bowman was everything she wanted in a man. Clare is not prepared to hear that that Bruce has a connection to all the women who recently died. Quinn is convinced Clare is in danger, but Clare is out to prove Bruce’s innocence. She’ll stop at nothing until she proves that her first instincts about Bruce were correct. This is the second book in Cleo Coyle’s Coffehouse Mystery series and I loved this book. I enjoyed the first one, but this one is even better as I grew to love the characters more and more. They are quickly becoming friends that I want to keep checking in on. This was a fast-paced story with a few twists and turns along the way. It kept me guessing until the very end. I also have an old fashioned notebook where I write down books as I read them. Eventually I input the info into the database, but the notebook is a handy reference for me to write down what I've read and whether or not I like it. Despite the computerized world we live in, I guess I also like to have something I actually write, too. I don't keep my TBR listed like this though. The notebook is only for those books I've read. This is a fun question. If you'd like to participate, just click on the logo above. I'm looking forward to reading everyone's answers for this one. I haven't post in the last couple of weeks - between getting ready for vacation and then going away, I just didn't have time. Here's what I received in my mailbox this last two weeks. Melinda Monroe had enough of Los Angeles and working in an Emergency Room. After the brutal murder of her beloved husband, she wants to get as far away as possible and start a new life. She accepts a nursing/midwife position in the small town of Virgin River. She envisions a quiet life in a place where everyone knows your name. The ideal life. When Mel arrives, she finds anything but that quaint town of her dreams. Instead, she finds herself living in an old, dilapidated cabin and working for a doctor who wants nothing to do with her. The local bar is run by Jack Sheridan, a former marine, who finds himself attracted to the new nurse in town. He does everything he can to make her comfortable, but he discovers she has a past that he just can’t break through. He vows to do whatever he can to make this beautiful, strong woman his own but first he must convince her to stay in Virgin River. It might not be the city life she’s used to, but small towns have their share of advantages too. Mel discovers that Virgin River can be just as dangerous as Los Angeles, but it can also be even more beautiful. However, she’s not so sure the country life is for her and she can’t get her late husband out of her mind. Not even for the handsome, considerate Jack. This book was excellent. I heard a lot about this series and it has taken me awhile to get to it, but it was well worth the wait. I loved the characters and the “small town” feel that this book has. I felt as if each character was someone I personally knew. Mel and Jack were two strong characters that readers will come to love from the beginning. The book is fast-paced, filled with both drama and romance. I can’t wait to read the second book in this trilogy. I, also, have to give this one the Socrates' Book Reviews Great Book Alert. I listened to the audio version of this book. Although it was an interesting book, the short mystery cases were easily solvable. I love mysteries and I prefer when the entire book centers around one major case with many twists and turns. I just couldn’t get into this one. I know it’s a popular book, but not my cup of tea. We've received another award and I'm just so honored and flattered to receive all of them. Each one means so much tome. This one is the Premio Dardos Award from purplg8r at So Many Books, so Little Time. This award acknowledges the the values that every blogger shows in his or her effort to transmit cultural, ethical, literary, and personal values every day. 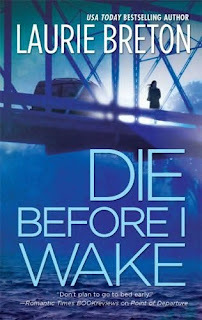 I managed to read a few books...Through the Grinder by Cleo Coyle, Devlin and the Deep Blue Sea by Merline Lovelace, Die Before I Wake by Laurie Breton and I'm almost finished reading 74 Seaside Avenue by Debbie Macomber. Not a bad book in the bunch! What a pleasure to be on the beach, away from home, the computer and TV and just be able to read. I did a few other things too, of course, but I did manage to read and bury myself in books. I gave myself an extra vacation day, so I don't have to go back to work on Tuesday. I'm easing my way back into my real life...there's a ton of laundry waiting to be done, but I guess that can wait for tomorrow...I'm off to catch up on my blogging and emails! I'm so honored to receive this award from my sister blogger at DeSeRt RoSe BoOkLoGuE, the name of the award says it all :) I can't tell you how much I appreciate this award! 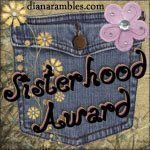 My sisters that I nominate this award to are..
1. Why do we have to work everyday? 2. Getting up early and going to work are now habits. 3. I have a cold. 4. I had never heard the phrase "It's not a diet, it's a way of life" and it has helped me alot. 5. I'm heading out to work the way I always do. 6. How was I to know I'd become addicted to reading and blogging? 7. And as for the weekend, tonight I'm looking forward to writing a couple of reviews, tomorrow my plans include catching up on TV and movies and Sunday, I want to rest! For me, I'd have to say Diana Gabaladon's Outlander. I heard so many great things about it, but when I tried to read it, I just couldn't finish it. Maybe it was my mood at the time I read it. It's been a few years since I tried, but maybe I'd feel differently if I tried today. However, I have so many books in my TBR, I'd rather go onto the next book. We have not heard from the winner of In the Land of Invisible Women and it's been over a week, so we've had to choose a new winner. The winner is.....Sarah! Congratulations Sarah! Please send me your snail mail address as soon as possible and I'll mail out your book! This is an interesting one. I'm a shy person in the first place so I would never start up a conversation, but if someone in the bookstore were to talk to me, I'd certainly respond. While strolling through the book aisles I've had people turn to me and ask if I've read a certain book and I'll respond with my opinions of it. Those are people I know are interested in discussing books. If I see people reading on the beach or by the pool when I'm on vacation, I never stop to chat. Not everyone wants to be bothered by book chat. Although I do tend to look at what everyone is reading. When I go to the local used book store, I always talk about books with the owner. I've known her for years and we have similar reading tastes so we are always offering each other recommendations and that's fun. This has been a really difficult week for me. My beautiful Trini suddenly got very sick and we had to put her to sleep. She had a fast moving cancer which prevented her from eating. The vet said there was nothing they could do. She lost so much weight. I'm really not up to doing a full Sunday Salon this week. I don't seem to be up to much blogging, although I've been able to bury myself in reading. Trini - We will always love and miss you. There's not much else to be said. Maureen MCormick’s real life was very different than the one she played as a child on The Brady Bunch. 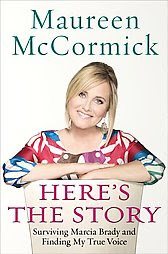 McCormick takes us on the journey through her life from childhood to adulthood. She relives some of the worst, as well as the some of the best, moments of her life. This had to be a painful book for her to write as she talks about the problems her parents went through – marital, as well as problems with their children. We see the agony Maureen herself went through as became a cocaine addict to the point that she’d do anything to get some. A very different life than the one Marcia Brady led. I found this book to be interesting and very sad. It’s hard to think of anyone going through some of these hardships whether they are a celebrity or not. It doesn’t sound as if her stardom caused her troubles. There seemed to many aspects that added up to everything she went through. It’s good to see she’s on the road to a happy life. Former rodeo cowboy Lonny Ellison won’t admit it, but he’s more than slightly attracted to the local school teacher. He can’t stop himself from putting his foot in his mouth every time he talks to her. They have nothing in common. He’s a small town rancher, she’s a transplanted city woman who will probably be leaving Wyoming soon anyway but that doesn’t stop him from wanting to spend time with the beautiful teacher. Joy Fuller loves the country life and Red Springs is the perfect place for her, but when an old boyfriend comes back into the picture, she considers moving back to the city. It would be different if Lonny wasn’t such a jerk to her. Then maybe they’d have a chance at life together, but that wasn’t about to happen any time soon. Debbie Macomber brings one of her sweet romances to life in this one. It’s a fast-paced read with all the characters being good people readers will care about. This is a follow up to her 1988 Silhouette Special Edition Denim and Diamonds. I haven’t read that one yet, but I plan to. According to her website, this will be re-released later in the year. It’s one time I wouldn’t mind purchasing a re-released book. This is a great book to spend a few hours with. For Reading Challenges: Harlequin/Silhouette Challenge, Romance Readers Challenge, A to Z Readers Challenge, Read Your Own Book Reading Challenge. First, I’d like to take this opportunity to thank Jennifer Chase for the opportunity to review her book and for taking the time to let me interview her for Socrates’ Book Reviews. Her book, Compulsion, is an awesome book that will keep readers at the edge of their seats. A truly riveting book. 1. Was writing your first career choice? Have you done anything in criminology that wasn’t geared towards writing? I’ve loved writing and reading books for as long as I can remember, but it was not my first career choice. I originally had other ideas and eagerly entered into the business management world. However, writing seemed to be on my mind most of the time. I dreamed of writing a novel one day. It was not until I finished my degree in criminology that I felt I had the confidence to put my story to paper, and eventually the Emily Stone character was created. I think my degree was the extra push I needed to write the novel and the timing seemed right for me. Criminology is still a new step for me and it has mostly been geared towards writing. It’s a fascinating field and I find that I’m still learning more as time goes on. 2. 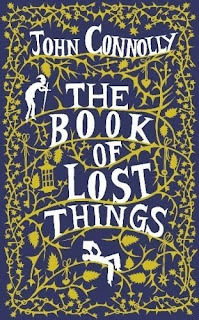 What made you decide to write this book and is it your first or do you have a backlist? My favorite genre has always been suspense, mystery, and thriller books. My inspiration for Compulsion is really three-fold. First, my love for writing and wanting to complete a thriller novel has been the main driving force. Second, my academic background actually gave me the confidence to write about serial killers and related crime scene investigations. And finally, it was my first hand experience living next door to a psychopathic individual with violent tendencies that consistently threatened my life for more than two years, along with my interaction with local law enforcement. But, this bad experience gave me first-hand exposure and a great jumping off point to begin planning the characters for my first book. It was a horrible experience that ultimately turned out to be a great experience. I have several stories in the beginning stages that I plan on writing. I’m currently working on the second Emily Stone novel. After I completed my first novel, it seemed to have fueled more ideas and inspirations that I need to get down on paper. 3. Are the characters in Compulsion based on any real life people or real life incidents? No, the characters aren’t based on any real life people. In my research, I did meet many law enforcement individuals that helped me to understand how investigations are conducted and heard many interesting police stories. As far as the main character of Emily Stone, I only wish that I could be as tough and savvy as she is in the story. The characters and storyline are a combination of many aspects of my creative writing and criminology knowledge. 4. Do you watch shows like CSI? Do you find them realistic? I rarely watch CSI, but it is a very entertaining show. The forensic technology is fairly accurate, but not the speed and accuracy of the results. Of course, it would really be boring if the audience had to wait weeks for crime scene results. I wish all law enforcement agencies had the budget and personnel to have a state of the art crime lab that is portrayed on CSI, but the reality is that they don’t. I enjoy shows like Law and Order, Cold Case, and The Closer that demonstrate all the aspects of the criminal investigation. 5. Are you interested in writing in any other genres? I’m interested in writing and ghostwriting in the true crime genre. I’m beginning to research a group of unsolved serial homicides that took place in California during the early 1980s for a potential true crime book. 6. Do you have any favorite authors or genres that you enjoy reading? My favorite genres are thriller, mystery, true crime, and sometimes science fiction or fantasy books. If I had to pick only three of my favorite authors they would be Jeffrey Deaver (Lincoln Rhyme novels), Dean Koontz, and John Douglas (criminal profiler). 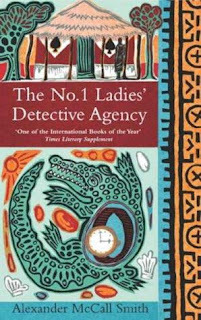 I enjoy a good mystery by Agatha Christie too. It’s also a treat when I discover a new writer, so I’m always on the look out and appreciate any recommendations. 7. How did it feel when you heard that your book would be published? It was extremely exciting and exhilarating, you feel like shouting it from every rooftop. All that hard work has finally paid off. But there’s also a part of you that thinks, “What if no one likes my book?” I’m sure that new writers all feel this way and you build more confidence as you publish more books. It’s still exciting seeing my own novel on my bookshelf. 8. Have you gone on any book signing tours? What was it like? I’m just beginning to do some book signing appearances. It’s great signing books and talking to thriller fans. People are very receptive to the storyline and ask many questions. It’s fun and festive because you never know who you’re going to meet. 9. What kind of fan reaction have you had to your book? I have been receiving very positive reviews for Compulsion. It’s probably the most single exciting part of publishing a book is to hear from fans. I really do appreciate any comments and questions about the novel. 10. Can we look forward to any sequels or other books in the future? Can you tell us anything about them? I’m working my second thriller novel with Emily Stone as she tracks down an ingenious high-tech serial killer who uses the front of a prominent video game company to elicit unsuspecting victims to their deaths. I hope to finish this novel before the end of the year. Jennifer – Thank you so much for taking the time to visit us and introduce us to your work. I wish you the best of luck, you have a bestseller on your hands! 1. When I look to the left, I see two cats sleeping on my bed. 2. The den is the room that has the best view in my home. 3. Let it work right. 4. Nothing is done dirt cheap! 5. Not littering is a responsibility that all qualified citizens must share. 6. If you have any sunshine feel free to share. 7. And as for the weekend, tonight I'm looking forward to resting, tomorrow my plans include catching up on TV shows and movies and Sunday, I want to catch up some more! The Sunday Salon - Weekend Wrap Up!